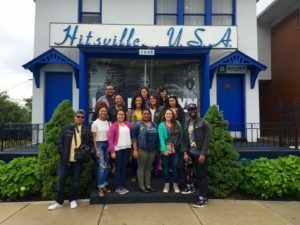 The California Endowment gave a Richmond Pulse reporter and 11 other youth journalists the opportunity to attend the 18th annual Allied Media Conference (AMC) in Detroit in June. Reflecting on her experience, Keisa Reynolds writes, “Narratives that come out of Richmond are important. We have a history people should learn and a future people should invest in.” Read more about the conference at Richmond Pulse. This entry was posted on August 1, 2016 by Manager in Richmond Pulse and tagged Allied Media Conference, community journalism, narrative change, youth journalism.